The “Bethel Riders” are a Bethel based group of men and women of all ages, married, single, professionals & students. 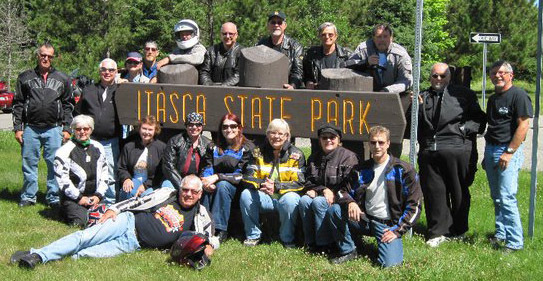 We share a love for Jesus, and enjoy riding motorcycles in a safe, organized, social, and relational environment. We are an open group where everyone is welcome. All skill levels, all makes and models, all faiths. Many riders invite a friend, neighbor, coworker, or family member to ride along with us. We have 10 scheduled dinner rides, every other Thursday evening in the summer. The average ride includes an hour ride out, an hour for dinner, and an hour ride back. All rides depart from the Moorhead I-94 Rest Stop at 6 p.m. sharp and return about 9 p.m.. Arrive early and visit. Our Dinner Rides are a great way to introduce your riding friends and neighbors to uplifting Christian fellowship. During the summer schedules are available at the information counter at church, the Info Wall, as well as updates on Facebook. A PDF of the Summer 2018 information to see where they’re going this year is available by clicking here. 2018 Rides are done for the season. We’ll update the list when we get closer to the summer of 2019.
and tell her how much fun you had. Get on the email list, watch for additional rides and schedule updates!